battery electric Denza. The home wall-mounted fast chargers will be sold through Denza dealerships along with the vehicle and significantly reduces charging time. Furthermore, the Denza vehicle will also be rechargeable at a conventional wall socket and offers its customers optimal flexibility. The chargers are designed for user convenience and safety - an innovative mobile app allows remote monitoring and control of charging sessions, with the option of charging status change notifications. "The Denza represents a significant step in sustainable transportation for the Chinese automotive market. It was vital, that we have the right infrastructure partner to support this innovative concept," said Arno Rohringer, COO of BDNT. "ABB is the ideal technology partner for us, as they have proven themselves worldwide including China with chargers and - equally important - the service to install it." The Chinese government has introduced a fast charging standard to encourage technical innovation and stimulate market acceptance of electric vehicles. This standard will give Chinese consumers the opportunities to conveniently charge their vehicles at home or in public. Public fast charging is expected to be rolled-out in China in the near future. The battery-electric Denza vehicle will see its world premiere at the Auto China trade fair in Beijing in April 2014. Market introduction is slated for this year as announced earlier. In Beijing, the first Denza dealership will open its doors mid of this year. Further dealerships are built up simultaneously in Shanghai and Shenzhen. 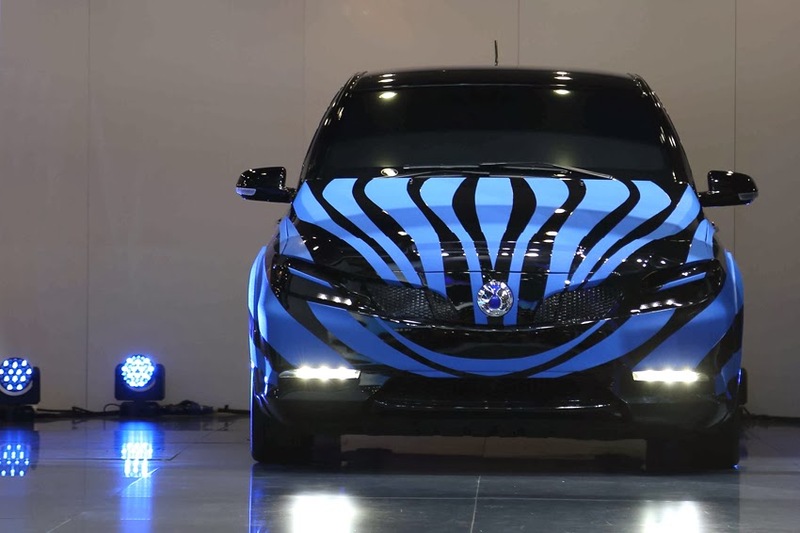 The official goal of the joint-venture - Denza will be the safest and most reliable electric vehicle - designed and engineered in China, for China.